Professor Barbara Norman is the Foundation Chair of Urban and Regional Planning, and Director of Canberra Urban & Regional Futures (CURF) at the University of Canberra. She is an Honorary Professor at the University of Warwick UK and a Visiting Fellow at The Australian National University. 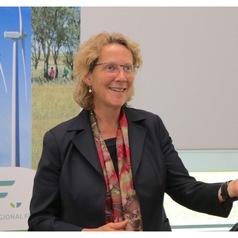 She is a Life Fellow and past national president of the Planning Institute of Australia, Hon Member of the Royal Town Planning Institute (UK) and Chair of the ACT Climate Change Council. Professor Norman is a member of the United Nations Sustainable Development Solutions Network (Australia) and was a contributing author to the IPCC 5 WG2 report. She has extensive experience in the public sector at all levels of government. Her research interests include coastal planning, sustainable cities, urban and regional planning, climate change adaptation; coastal and urban governance. Barbara was a recipient of an Australian Centenary Medal for her contribution to the community through urban and regional planning.